Siemens PLM Software has released an update to module Siemens NX 10.0-12.0 TMG Thermal/Flow Simulation (NXCAE_EXTRAS) , is used to advanced modeling of heat transfer and flow of liquid and gas flows. About TMG Thermal/Flow Simulation (NXCAE_EXTRAS) module. NX Thermal software provides heat transfer solutions and is an add-on module to either NX Advanced FEM or NX Advanced Simulation. NX Thermal can simulate conduction, convection and radiation phenomena for complex products and large assemblies. NX Thermal is used to address thermal analysis requirements in a wide range of industries including aerospace and defense, automotive and transportation, consumer products and appliances, energy, medical, electronics and semiconductors. In addition, NX Thermal can also be used with NX Flow, the NX-integrated CFD solution, for coupled thermo-fluid simulation. 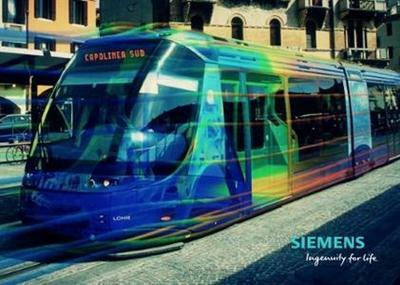 NX Thermal continues Siemens’ long heritage in thermal simulation and leverages the same technology that underpinned the I-deas TMG solution. NX Thermal uses high-order finite volume-based technology on a FE mesh to accurately and efficiently simulate heat transfer phenomenon. It combines the versatility of FE-based analysis with the accuracy of a finite volume scheme. The NX Thermal solver technology allows simulation of NX parts and assemblies within complex thermal environments.